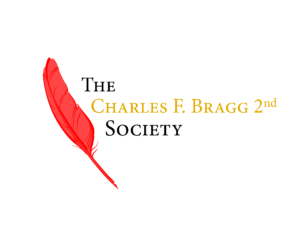 Charles F. Bragg 2nd lived a life devoted to advancing the common good. He was a tireless volunteer in service to public education and countless organizations, including what is today United Way of Eastern Maine. Charlie was among the community members who realized back in the 1930’s that there was a need for one organization to help improve and sustain the quality of life for all—one organization that could accept donations for distribution among a variety of social service organizations. Formerly called the Red Feather* Society, in 1937 the Bangor Community Chest was formed from this desire, and Charlie played a seminal and sustaining role in its early development. He instilled in all who knew him an appreciation of the written word, the arts, a strong work ethic, and a feeling of responsibility and respect for all. His very name conveys a sense of permanence and trust that will endure. 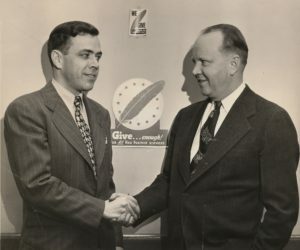 United Way of Eastern Maine is honored to establish The Charles F. Bragg 2nd Society in his memory, welcoming all who wish to ensure that the great work United Way does goes on forever. Dr. Donald M. Clough Sr.
*For more than a thousand years, the red feather has been used as a reward for special acts. England’s Black Prince, during the Crusades, awarded it for unusual acts of valor or chivalry. American Indians awarded red dyed eagle feathers to their most fearless braves, and Robin Hood awarded a red feather to his men for acts of exceptional goodness. With an estimated population of 295,062 Eastern Maine is filled with outdoor adventures, rural communities, bustling historic town centers, great business success stories, and its own unique set of community challenges and needs. Evolving our role to become what the community requires to respond to the most pressing issues, UWEM wants to engage more people, raise awareness of the issues our communities face, and activate our cross-sector network of partners. Join us in creating long-term, sustainable change together!